Church educators and pastors often ask me where I find resources to use with children in worship and how to use these resources. Like me, these people are interested in finding new ways to engage children in worship and invite them to participate in it. The answer may not be as profound or “new” as those educators and pastors might think. It may lie simply in reworking how we approach children in worship. Simon Sinek, author of Start with Why: How Great Leaders Inspire Everyone to Take Action, was fascinated by leaders such as Martin Luther King, Jr., and companies such as Apple who had a capacity to inspire. He discovered remarkable patterns in how they think, act, and communicate. Both King and Apple started with the whys. While many know what they do and how they do it, very few know why they do it. Children are part of our congregations and therefore need to be part of the diverse body that worships God together. Having children among us pushes and challenges us to be aware of how all experience God’s presence in worship. Children open us to the spontaneity of the Holy Spirit. The presence of children allows us to exercise grace, forgiveness, and love to those that we deem different then ourselves. Having children in worship reminds adults that God only requires us to come as we are, to ask questions, and to remain curious. Our approach to children in worship really is no different than our approach to adults. Children, like adults, have a diverse array of characteristics, needs, personalities, and temperaments. Simply having what we think are child-friendly activities in worship may not address the diversity of our children. The who, therefore, is not just the children but all members of a multi-generational and multi-sensory congregation. How we engage children in worship is less about creating kid-friendly activities than it is about approaching the different ways we as human beings take in information and experience God. Approaching liturgy, preaching, music, and prayer in a way that balances the needs of those who are introverted and extroverted; concrete and abstract; tactile and cerebral; meditative and playful; new to the faith and long-term members honors the diversity of all ages and welcomes all to experience God through many different entry points. Involving children in worship doesn’t have to be limited to specific areas in worship, such as the children’s sermon. Finding authentic ways for children to engage and participate honors who they are. 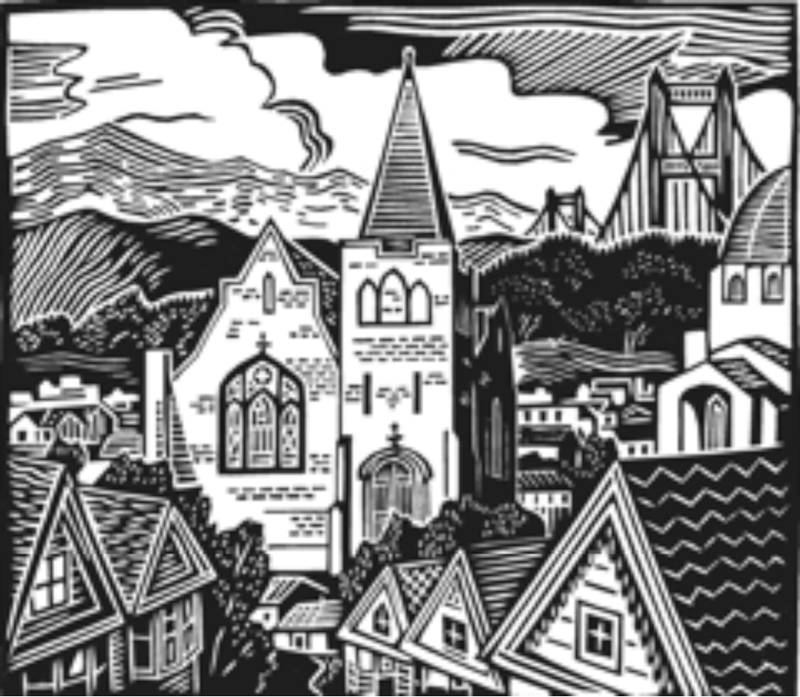 The where may simply be giving permission for kids to wander and explore as they feel the music and sing the hymns; allowing them to be greeters, liturgists, and ushers; and providing opportunities for multisensory ways to worship. Over the summer, like most churches, our Sunday school programs take a break. Searching for ways for children to follow along in worship in addition to the usual activity bags I provided, I created a worship bulletin for kids to use. What I like about the bulletin is that it is an opportunity for parents to engage with their kids during worship; it gives them language and context to explore worship together. For preschoolers to first grade, I laminated pages that followed the flow of worship and could be wiped down and reused each Sunday. Each bulletin packet contained crayons, markers, play dough, wet wipes, a dance scarf, ten pennies, safety scissors, and scratch paper. As the organ plays music, what colors come to mind? Use those colors to fill in the picture of the church. 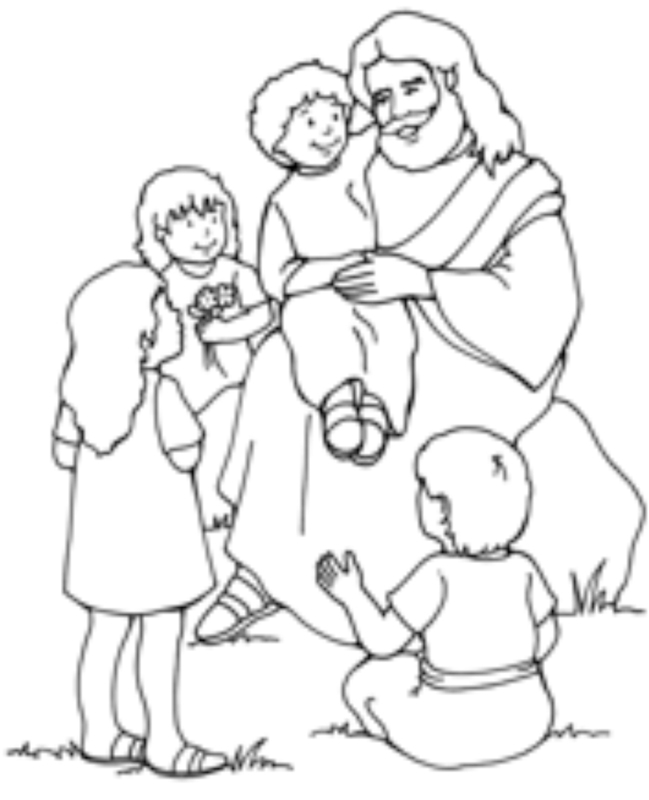 Color the picture of Jesus with the children, reminding us that all are welcome to worship. Draw a picture of what you think God looks like. 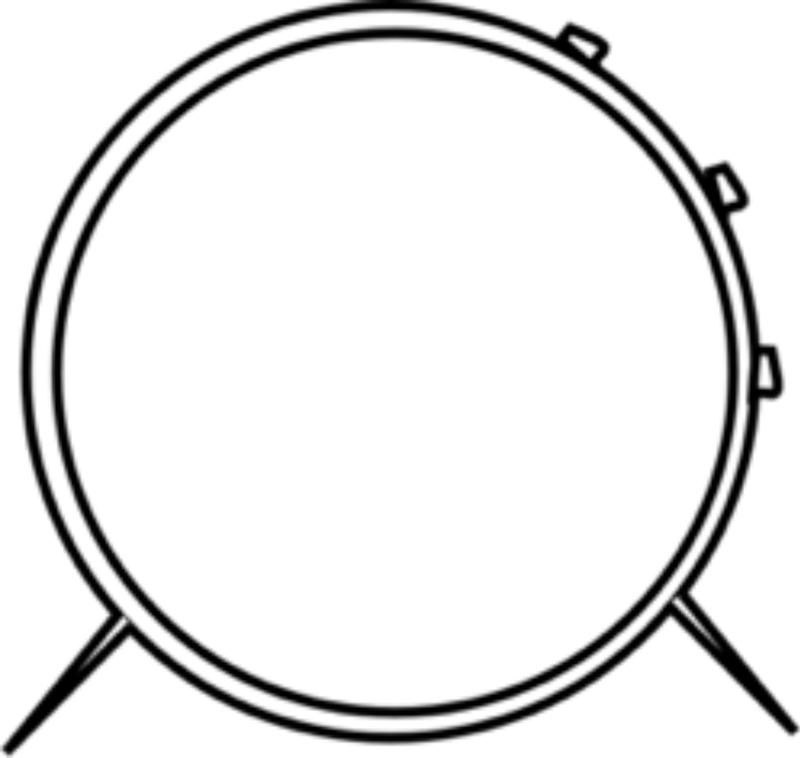 Use crayons or markers as drumsticks and drum on the drum in praise. 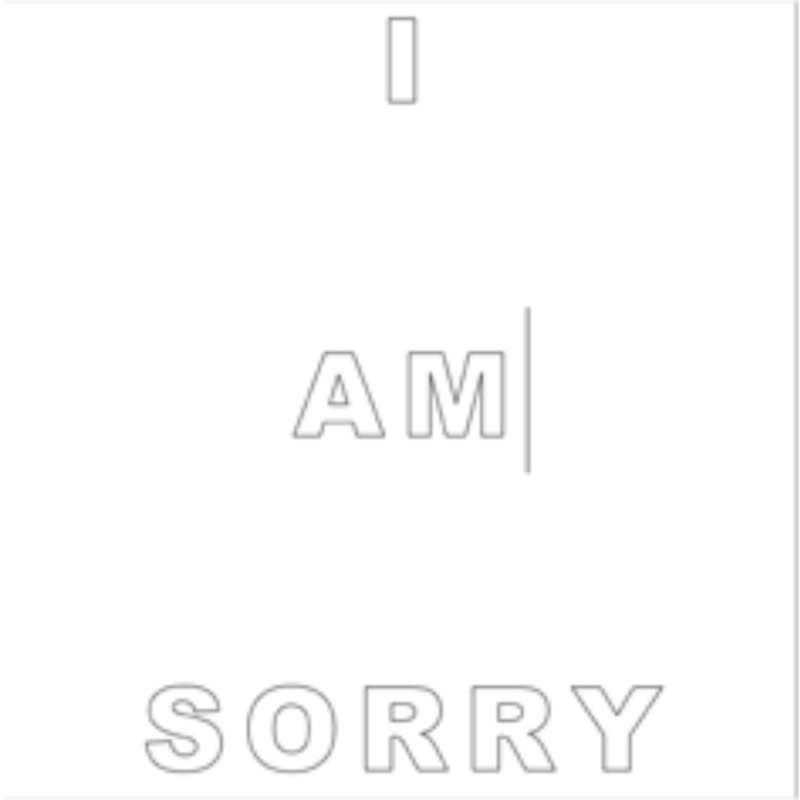 Trace the words “I Am Sorry.” Then wipe the words away, knowing that God forgives us. Circle and color all the symbols of peace. Choir Anthem – While the choir sings, use the dance scarf to move to the music. 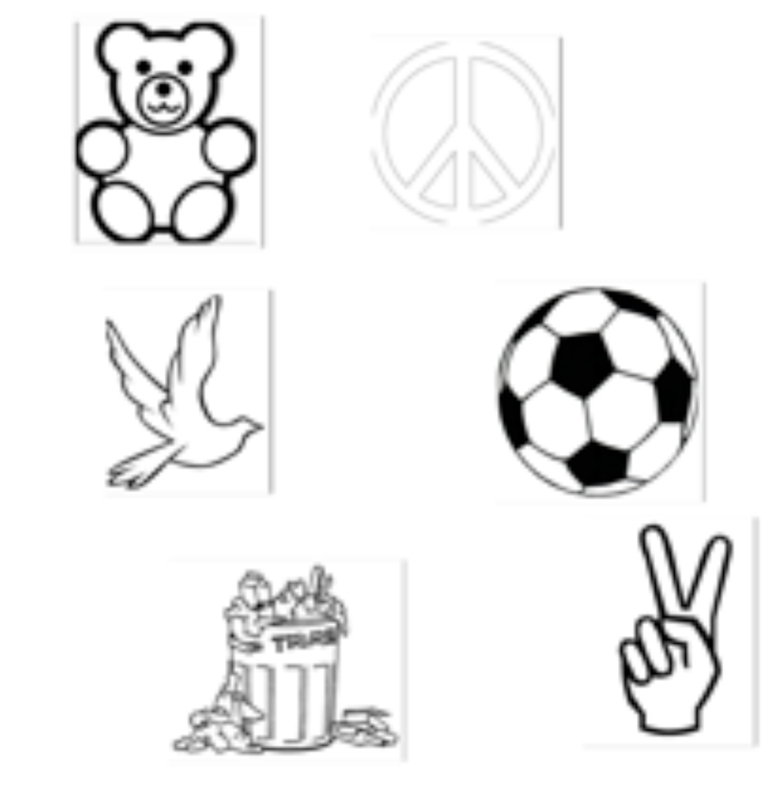 Scripture and Sermon – I usually include an appropriate coloring sheet or activity page that goes with the Scripture. 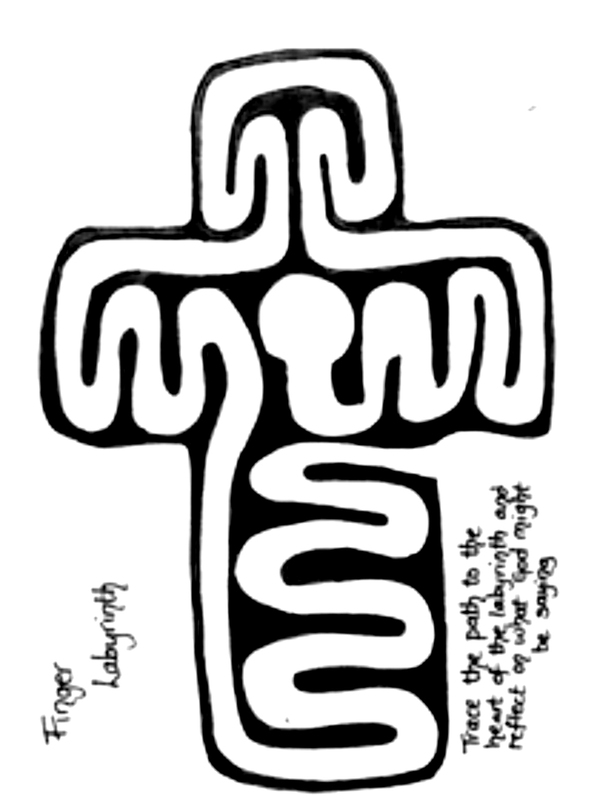 As you sing or hear the song, trace the labyrinth with your finger or using a crayon. Color the Lord’s Prayer according to the numbers. Offering – Using the pennies, make a design of something you want to offer to God. Put the paper over the pennies and rub carefully with a crayon. You may put it in the offering basket as your offering. 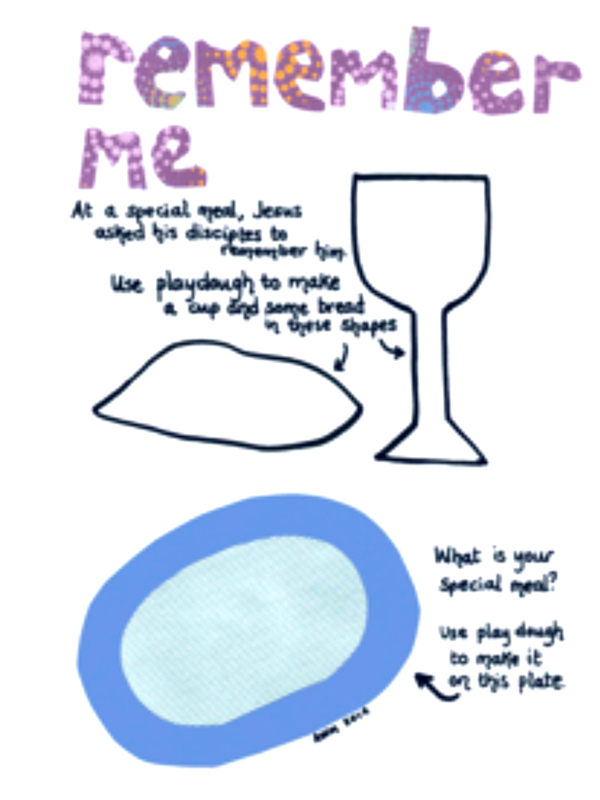 Use play dough to make the cup, bread, and a special meal. 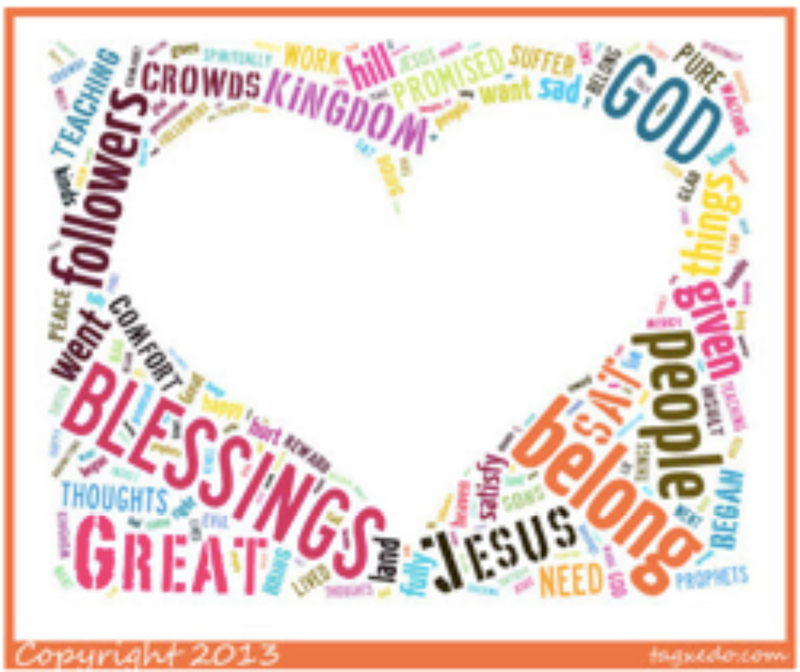 Hymn – How does this hymn make you feel? Draw as you listen to the music. Let the drawing reflect how the music makes you feel. 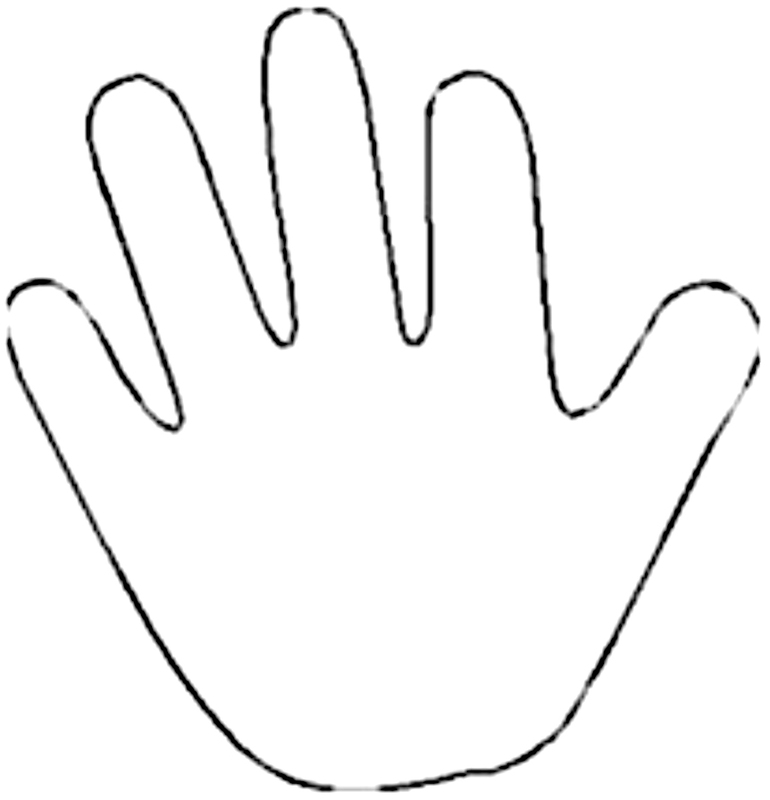 Trace your hand and think about who you want to bless. Postlude – Take a look at yourself in the mirror. Remember that God made you beautiful and calls you to love the world. Involving and welcoming kids in worship doesn’t and shouldn’t be limited to providing them with activities to keep them busy during worship. Resources are tools for kids to engage in worship, experience God, and explore their own faith journey with a faith community that nurtures their creative self, provides opportunities to participate, and honors the unique ways God created them.